Hiwassee Chase Air Systems and our founding companies have been providing heating and cooling installation, repair and maintenance for over 51 years. We believe the longevity of our business is due to our commitment to ethical business practices and customer satisfaction. We understand that you want an HVAC company that will provide you technically competent heating and cooling services and quality equipment, but that will also give you a fair price, show up when they say they will and keep you informed throughout the process. That is our mission every day. We provide residential and commercial HVAC service to customers throughout Bradley, McMinn and Polk Counties as well as eastern Hamilton County, including Ooltewah and Collegedale. Our response time is very quick and you can often receive same day service. 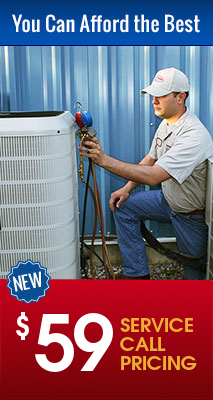 Our technicians are thoroughly trained, experienced and NATE certified. And, all our service includes straight forward communication, genuine concern for your welfare and our best efforts to help you solve your heating and air conditioning problems with the solutions that make sense for you. Please make yourself at home and browse our website. We would love to hear from you so we can show you the benefits of receiving heating and air conditioning service from a company that has been doing the right things for over half a century.